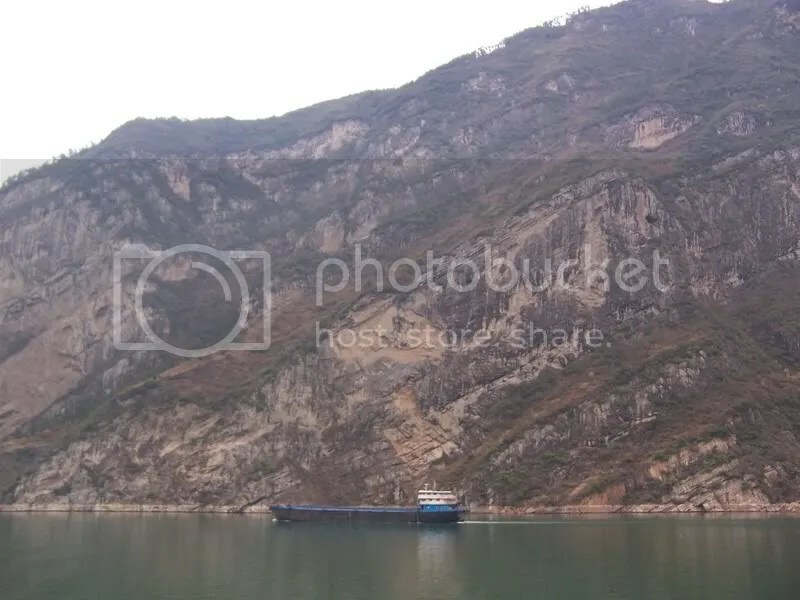 Ever since I arrived in China 1 year, 1 month and 8 days ago it’s been my plan to take a boat down the Yangtze to see the Three Gorges. If you haven’t heard about these then here’s the story. 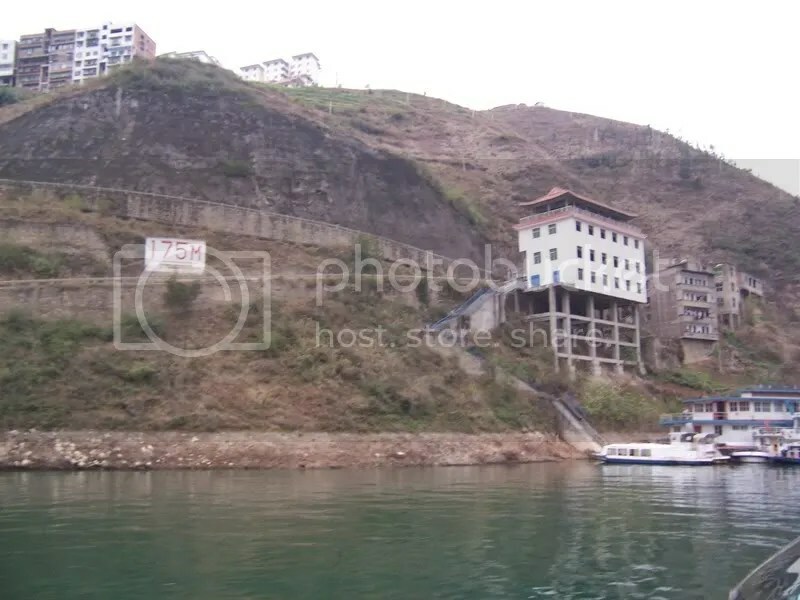 The Chinese government have built a dam on the Yangtze that is filling up right now. 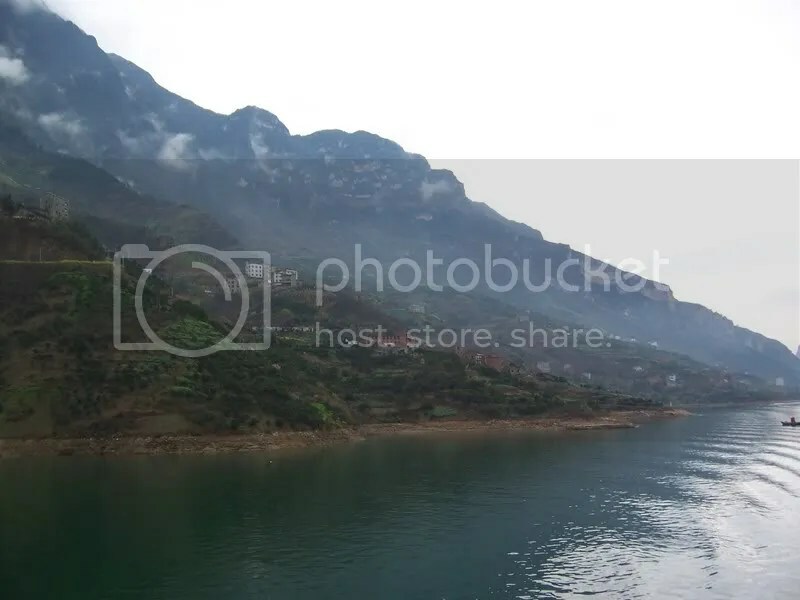 When it’s full, in 2009, the reservoir will back up the Yangtze for 375 miles, and one of the things to be partially covered is the Three Gorges, and they aren’t going to be visible again until the dam is removed, hopefully at some distant point in the future (the alternative being it collapsing and killing about 4 million people). While the river is still flowing the three-day boat trip I took will presumably remain insanely popular. 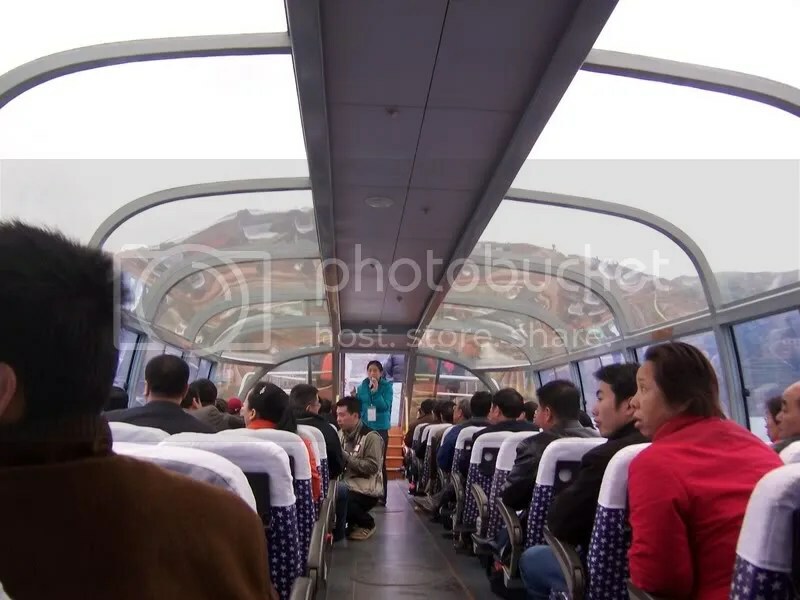 Most of the tourists who visit Chongqing, a city of 30 million people, do so just to leave it this way. Chongqing isn’t a particularly interesting city, despite its immense size. Much of it seems to be half-built, and a thick smog hangs in the endless valleys. I gave it a day, but ended up spending most of it in an internet cafe. The cruise itself took place on a pretty scraggy old tour boat. There were about 400 people on-bard, but apart from a few Germans who blanked me completely and an American-Australian couple I met on the last day, I was the only English-speaker. This wasn’t so bad as I got to practice my Chinese a great deal. I shared my cabin with a mother and daughter from Gansu and an old man from parts unknown. They all constituted good practice except the old man who was completely indecypherable. 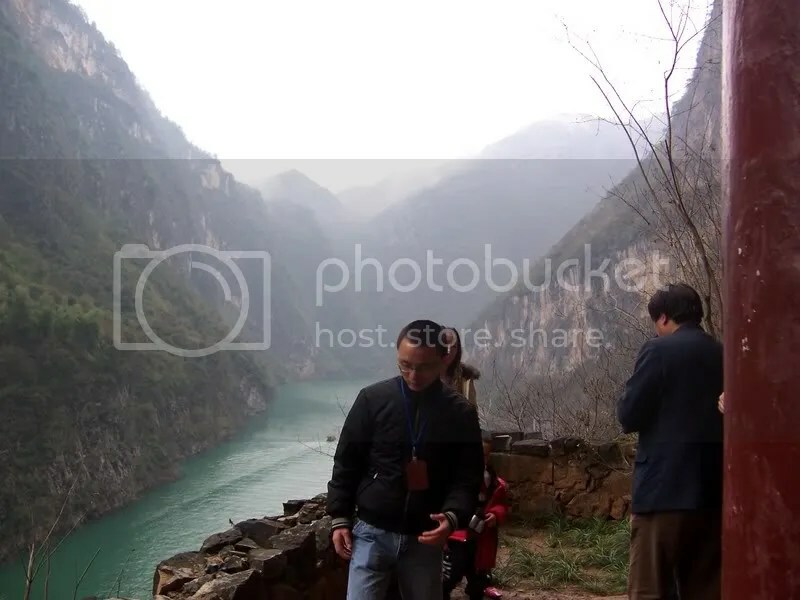 A large portion of the three days was taken up with stopping at the identikit Chinese tourist traps that line the river. The only really notable one was the “Ghost City” – a strange series of temples and castles with horrific scenes of hell inside. 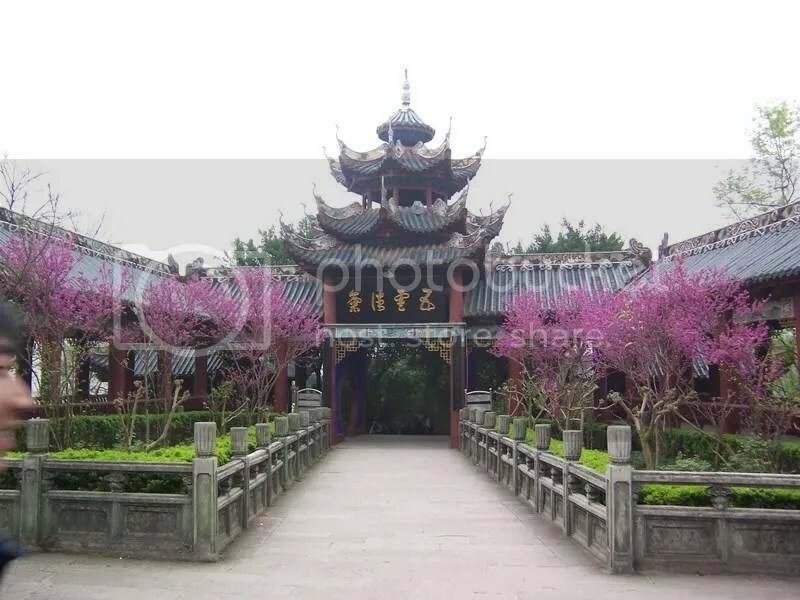 In the last building of the set they abandoned the pretense of being a buddhist site entirely and had a ghost train. It was fairly fun, but would have been better not at 8am. 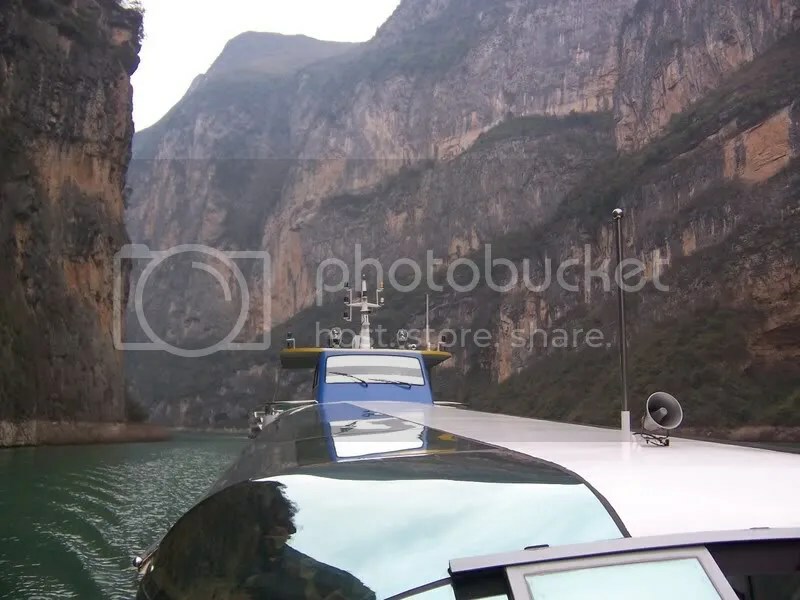 On the second day, after passing the first gorge, we got onto a smaller boat and saw the “Little Three Gorges”, which turned out to be more impressive than the big versions. 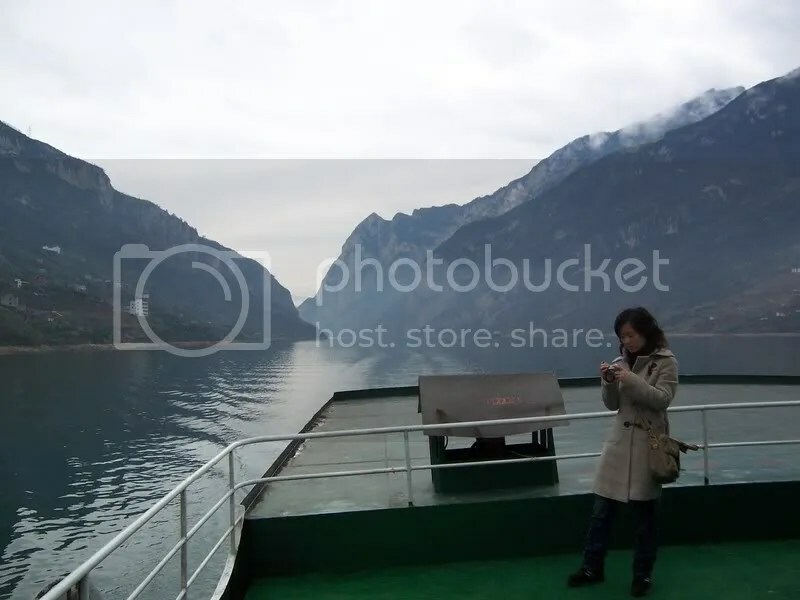 Then we disembarked and got onto even smaller boats to see the “Mini Three Gorges”, which was perhaps stretching the idea too far. That night the boat docked in a town called Wuhan – a dismal little place, not interesting enough to be seedy, just dirty, boring and slightly dangerous-looking. We sailed through the second Gorge while I was asleep, which was a little annoying, but the third Gorge more than made up for it. 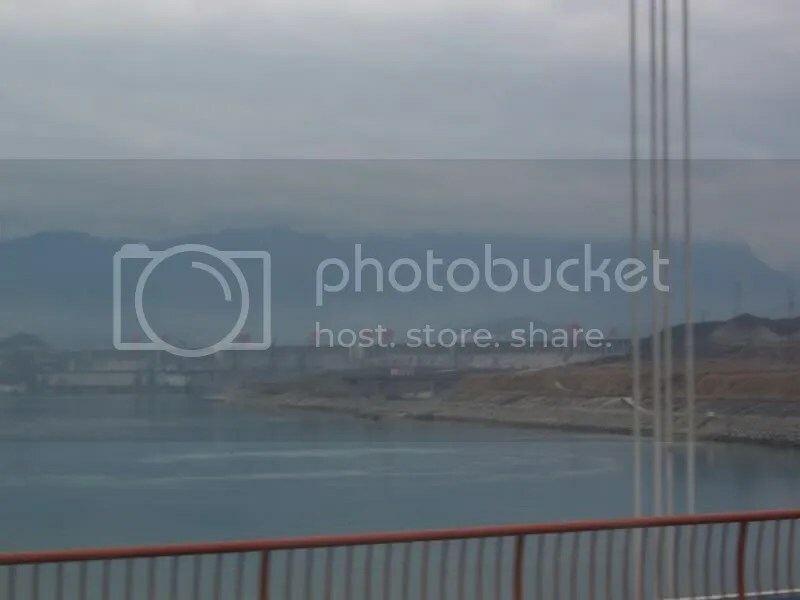 The top deck – the only decent place to see anything – was reserved for 1st class passengers, but the American-Australian couple gave me a pass they’d pinched so I could see it properly. 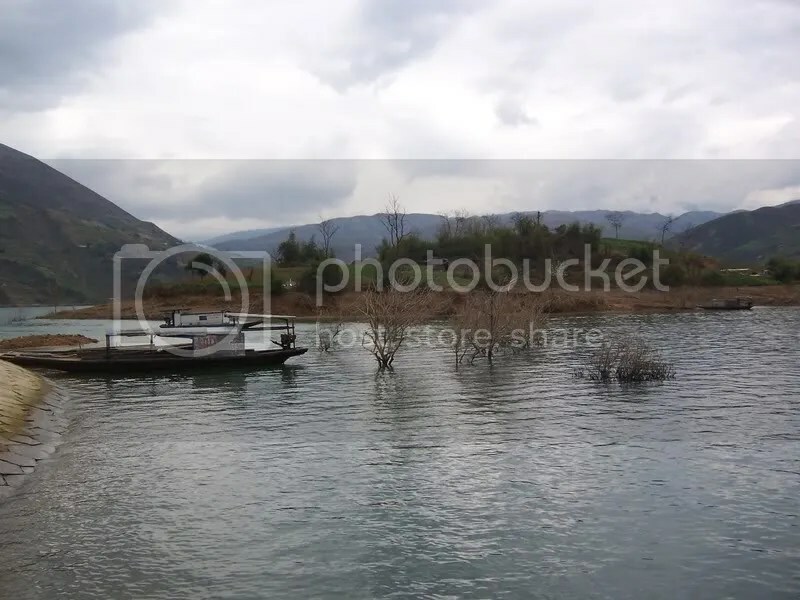 Then, suddenly, we had to stop, as the boat was unable to progress through the largest dam in the world. The tops of already submerged trees. These signs show where the water is going to rise to. The hotel owner on the right is clearly prepared. All kidding aside, your adventures in China have been great to read about bro. I wish I could do what you’re doing myself. Maybe once I’m done with uni I’ll head on over to Europe or something. Have a safe trip back home, and keep up the great work!